I've been told that each time its web is destroyed, the spider rebuilds it with less precision, less symmetry. Eventually the web barely resembles its original design. 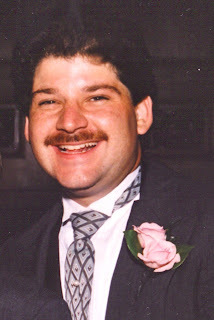 My world was recently shattered by the sudden and unexpected death of my brother on his 47th birthday. Losing Randall only two weeks before the tenth anniversary of the September 11th attacks was especially cruel, as that event has special meaning for the two of us. I'd looked forward—no, that's not exactly right—I'd planned to spend some time with him on the anniversary, perhaps buying him a drink or two to thank him for what he had done for me a decade earlier. Instead, I spent that day mourning him, mourning the memory of the attacks, mourning the contentment and balance my brother had helped create in my life. I was unprepared for the devastation of this event, and its consequences for the rest of my family. And so, as has been the habit among Jews for thousands of years, I sought solace and guidance in the experiences of generations past. Rabbi Moshe ben Maimon (1135-1204 CE), known generally as Maimonides or the Rambam, lived, worked and taught in Egypt. His family had been chased out of Spain by Moslem conquerers, and he briefly lived in Morocco and Israel before settling in the great medieval Egyptian port of Alexandria. A rabbi, community leader, and writer, the Rambam is today considered to have been one of the greatest exegetes and philosophers in all of Jewish history. The Rambam was able to dedicate himself to his studies and writings thanks to the financial support of his younger brother David, a businessman. In that period, Jews enjoyed a considerable advantage as international merchants, as they could travel almost anywhere and find Jewish trading partners who spoke the same language and held the same traditions. It was also not unusual for one family member to support another who spent his days studying Torah (though, as a side note, it would have been rare to find somebody studying full time at the expense of the greater community, an all-too common phenomenon in the Israeli and even US Orthodox communities of today). The greatest misfortune that has befallen me during my entire life—worse than anything else—was the demise of [David,] the saint, may his memory be blessed, who drowned in the Indian sea, carrying much money belonging to me, him, and to others, and left with me a little daughter and a widow. On the day I received that terrible news I fell ill and remained in bed for about a year, suffering from a sore boil, fever, and depression, and was almost given up. About eight years have passed, but I am still mourning and unable to accept consolation. And how should I console myself? He grew up on my knees, he was my brother, [and] he was my student. And yet, by the time the Rambam wrote these words, he had made significant changes to his life, changes whose effects would be felt throughout the world and across history. For, inasmuch as David's sudden death left Moshe in need of financial support, he took advantage of the medical training he had undergone earlier and became a practicing doctor. Due to his brilliance, and his incredibly hard work, the Rambam eventually rose to the position of personal physician to the Egyptian sultan and royal family. Nearly as prolific in his medical writings as in his philosophical and religious works, the Rambam influenced the philosophy and practice of medicine for centuries after his death, and is still widely studied and quoted today. It is permitted to mourn. This may seem obvious to a 21st century American reader, but it has not been true of all times and all cultures. Even in our society we talk of "celebrating a life", but when that life has been cut short, it seems to me to be more appropriate to mourn what has been lost than it is to "celebrate" the incomplete story, the unfulfilled potential. One should let their mourning run its natural course. If even as great a figure as the Rambam spent a year in bed mourning the loss of his brother, who am I to think I might recover more quickly? One may mourn not only the loss of a loved one, but the loss of a familiar and comforting lifestyle as well. David left enormous burdens for his brother to confront, including a wife and child, and business debts. Moshe's life was clearly going to become much harder in every way imaginable, at an age when he had long since settled into a comfortable routine. The Rambam found himself straining to accept and bear this additional load even as he mourned the loss of his brother whom he had loved so much. The death of his brother signaled the irreversible loss of the Rambam's cherished way of life. The same is true for me and other members of my family. So the most important thing I have learned from the experience of the Rambam is this: if we give ourselves both the permission and the time to mourn, we can try to construct meaningful new lives even as we grieve for the loss of the old. Like the spider's web, my rebuilt life will not be quite as perfect as its earlier incarnation. But while my younger brother's life has been cruelly and prematurely taken, my family and I remain, our previous responsibilities intact, our additional new burdens weighing heavily on us. I miss my brother; I will miss him every day of my life, a life I hope will honor him through accomplishments and good works inspired by his memory.